I noticed that we went to a lot of hockey games this season. I think it is probably because our kids are growing and became more interested in sports activities. They are now more than just dedicated hockey fans as children play hockey themselves in their junior hockey league with weekly games, travelling and fundraising. 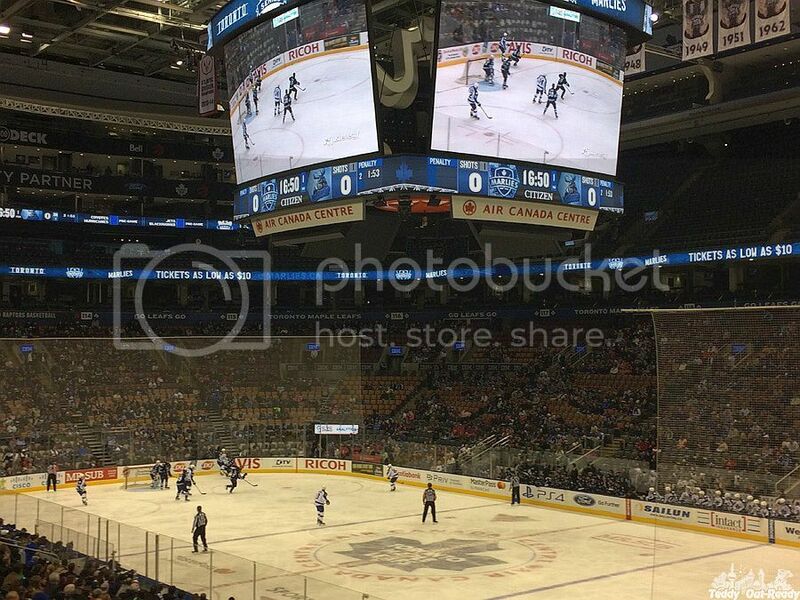 There is always great to see a professional hockey games in Toronto and our home teams Maple Leafs and Marlies in action. If children learn something new, decide to be involved in sports or become a fan of a team, there is always a good outcome as sport unites people and occupy minds only with positive thoughts. 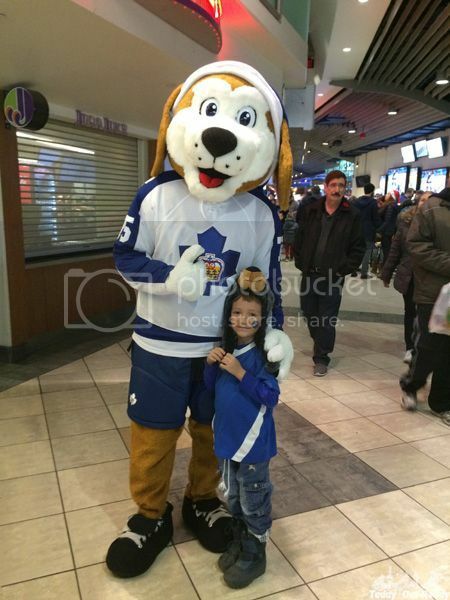 Last week we were very excited to join the Holiday Bash and Teddy Bear Toss with Toronto Marlies at the Air Canada Centre. Everything there is decorated for holiday season. Not sure if it is a holiday hockey magic or Santa’s presence but Marlies controlled the puck most of the time in that game. It was Holiday Bash as an entertainment was on its peak with the Marlies Dance Crew performance, Candy Cane toss, “present” toss and holiday music. The Holiday Bash could not be festive without Santa who was with us at the game with his favorite reindeer, plus did you know that Santa plays hockey? When Marlies scored their first goal, Teddy Bear button was activated and flying staffed animals headed on ice thanks to all fans who made it possible. All collected toys were donated to Yonge Street Mission. It was great feeling to make children happy and we know how children love toys. We also met our old friend Duke and took a photo with Santa. We expected the game to be more engaging, twisting and cheerful with cool tricks. Though Marlies shutout Manitoba Moose with final 9:0 score, it was interesting game to watch and we are looking forward to join upcoming ones. If you are on the search for a special and unique gift for your hockey fan, Marlies game tickets are one of the best options. 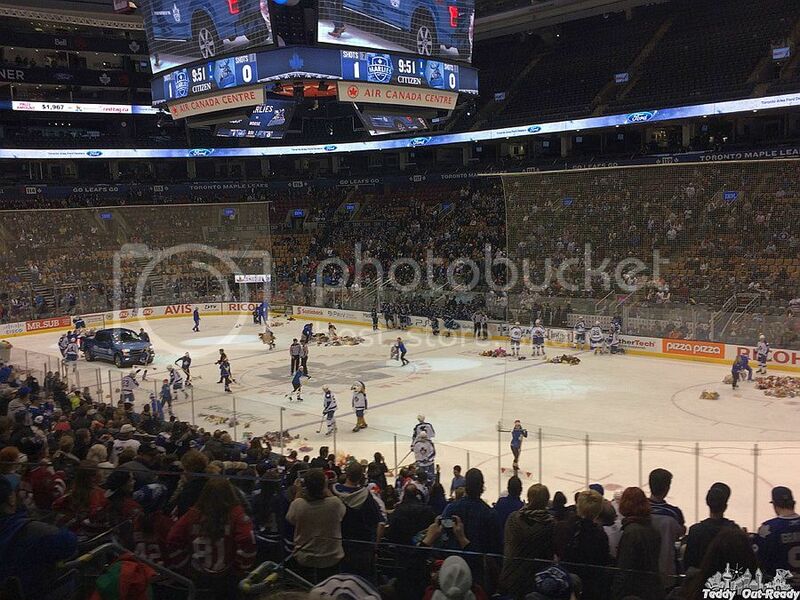 This holiday season do not miss an opportunity to see future NHL stars playing in Marlies team. Thanks to Maple Leaf Sports & Entertainment you can get discounted tickets to one of holiday Marlies games including fantastic Boxing Day Classic at the Air Canada Centre. Please follow Ticketmaster link and use the code: FAMILYMARLIES to get discounted tickets. I already bought Marlies game tickets as a Christmas gift for our cousins, I am sure they will love to be at one of the games. And that’s not all, we have incredible news, one our lucky reader will win four tickets to Marlies Boxing Day game on December 26 at 3pm. 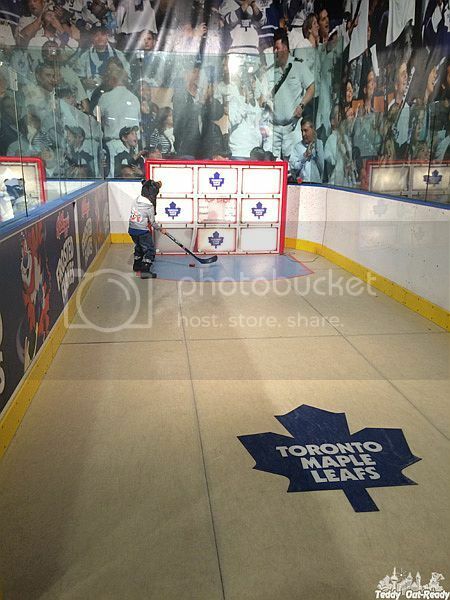 The winner will have to pick up their tickets from Will Call (Gate 1 – Galleria) at the Air Canada Centre. For your chance simply fill the Rafflecopter form below, the giveaway ends December 15, 2015. Good luck and Happy Holidays! I'd take my sister - she's SUCH a fan!